Brushed aluminium finish. Size is the maximum opening the vent will cover. 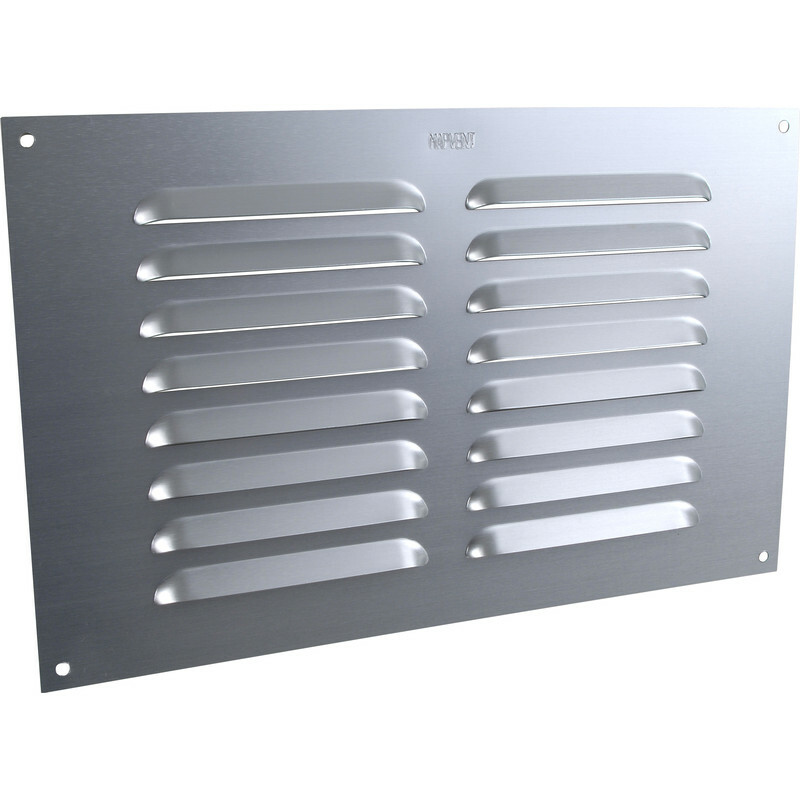 Louvre Vent 9" x 6" is rated 4.9 out of 5 by 7. Rated 5 out of 5 by MattD from Great airflow! This vent was exactly as expected due to the lovely photos in the catalogue. Although possibly slightly less silvery than I expected. It does what it was purchased for perfectly well as the air travels uninterupted through the louvre grills! Rated 4 out of 5 by neutrinoburst from Great for Price Works perfectly fine. Quite thin metal, but what you might expect for the price. Rated 5 out of 5 by Old Bloke from A great, shiny vented thing If you're looking for a nicely finished, shiny, vented plate thingy at a good price, this is the one for you. It feels good, no sharp edges to ruin your tactile experience, and the eight slots are nicely formed, with a pleasingly symmetrical appearance to ensure aesthetic delight. Four of these totally transformed my garage from a humdrum, dull shed into an object of beauty - like pearls in an oyster shell. We're now the envy of the road and I'm sure neighbours will be heading to Toolstation very soon to buy a dozen of these just to out-do me. I ordered online and collected from the local branch soon after. Cheerful staff, as always, greeted me and handed over my lovely louvres. Rated 5 out of 5 by coooperman from PERFECT FOR OLDER CARAVANS I bought this to vent an old caravan I am restoring.. fitted great, looks good and once painted it will blend in nicely .. Rated 5 out of 5 by Ann T from Perfect product Perfect price perfect product. Always satisfied. Rated 5 out of 5 by TighNaClach from great quality Just what i needed in a good finish.